Elephant social structure is deeply matriarchal, meaning their groups look to older females for leadership. This tends to work best in a poacher-free environment, as hunters tend to target older animals for their larger tusks which yield larger quantities of high-quality ivory. The world however is by no means a poacher-free environment; a new study looks into how, even with poaching picking their matriarchs off one by one, elephant social structures unexpectedly managed to survive. “We were expecting some sort of social collapse, especially knowing how important matriarchs are to a society,” said Shifra Goldenberg, a wildlife ecologist at Colorado State University and an author of the new report. To find out how they managed to do so, researchers spent 16 years studying adult female elephants in northern Kenya’s Samburu and Buffalo Springs national reserves, starting since 1997. The 2009 drought also affected the elephant population in these areas, they note. Elephants typically live in three types of groups: core groupings are comprised of animals closely related between them, followed by bond and clan groups, each including more genetically distant individuals. After confronted with the death of their leading female, the scientists watched as different core groups fused together. And keeping it all together falls to the younger females; The team observed that when confronted with the loss of a matriarch, female offspring often took the lead and stepped in, drawing on their mother’s contacts to rebuild social networks. 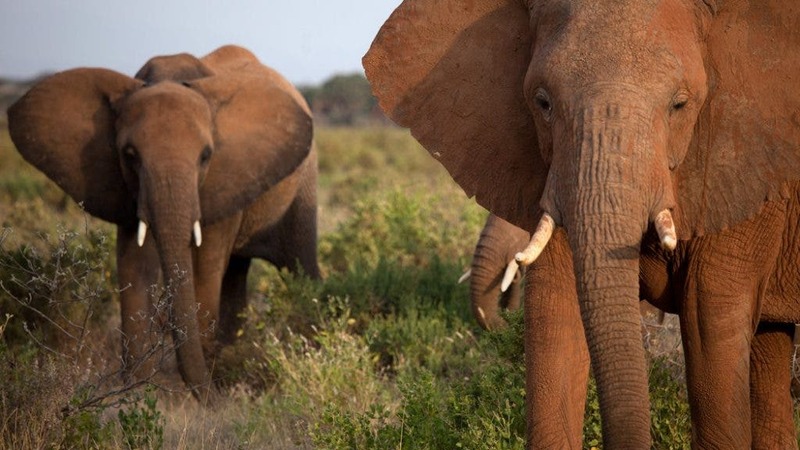 In one case, Ms. Goldenberg reports, a family of elephants lost all of its adults to poachers and natural causes in a brief period of time, with only three young females and three young males remaining in the group. A 12-year-old female took charge and linked the youngsters with an older female matriarch. The full article was published online in the journal Current Biology.